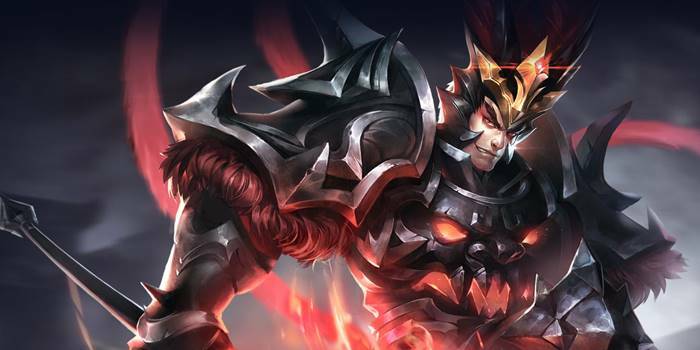 Guide for the hero Lu Bu, a character in Arena of Valor (AoV). Included are Lu Bu’s abilities, statistics, attributes, strengths, weaknesses, and more. These are Lu Bu’s attributes on the mobile version of Arena of Valor. Click here for his attributes on the Nintendo Switch version. Impale’s cooldown is reduced by 1 second whenever Lu Bu hits a target with an ability or a normal attack. Casting an ability also increases Lu Bu’s attack speed by 10% for 3 seconds (stacks up to 5 times). Lu Bu lunges forward, dealing 160/185/210/235/260/285 (+0.84 AD)ˀ physical damage to enemies in his path. Lu Bu will stop immediately if he hits an enemy hero. This ability can be used 3 times in a row, with the 3rd cast knocking enemies into the air for 0.7 seconds. Lu Bu launches a mass of dark energy in the specifed direction, dealing 240 (+0.9 AD) Physical damage and reducing enemies’ movement speed by 50% for 2 seconds. Lu Bu powers up, boosting his attack damage by 100/150/200, life steal by 120/180/240 (+0.4 AD), and resistance by 30/40/50% for 8 seconds. Try to hit as many enemies as possible with Conqueror to take advantage of Lu Bu’s bonus life steal from this ability. Our recommended order for Lu Bu abilities as he levels up. 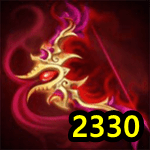 See all of Lu Bu’s item builds.